Early apologies, this is a photo-heavy post. 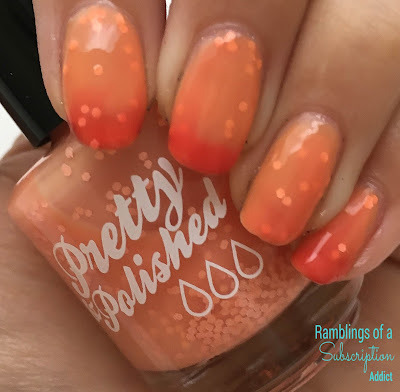 What is Pretty and Polished? 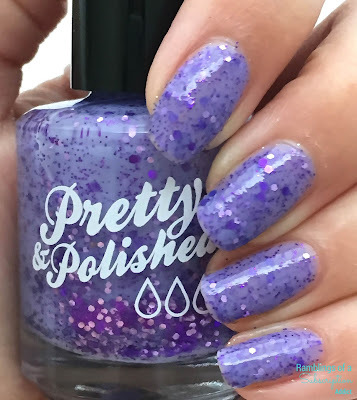 : Pretty and Polished is an indie nail polish brand that also sells bath & body products, nail vinyls, and this Beauty Box! This is a box that you get to choose which months you want to get, rather than a subscription that you have to cancel or skip. Just remember to buy it each month if you want to continue! 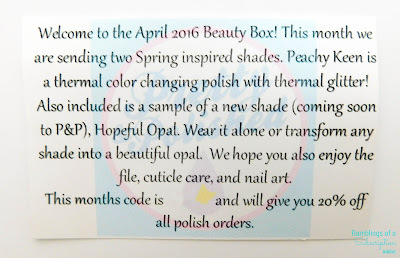 How Much is Pretty and Polished Beauty Box? 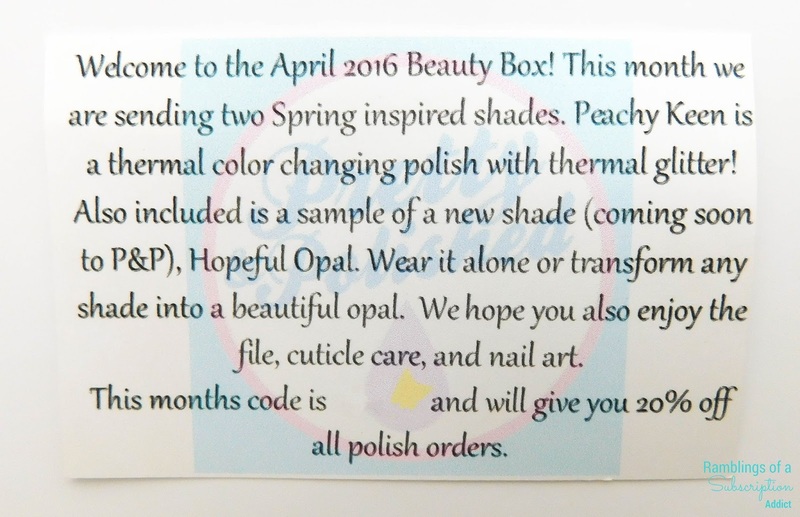 : Pretty and Polished Beauty Box is only $22.00/month! Each box contains a coupon that could be 10% off or $5.00 off to use in the store as well, which means you can get more polish and products from this amazing maker. You can buy for 1, 3, 6, or 12 months at a time, and the boxes are cheaper at 6 months! If you want to see other reviews of Pretty & Polished, click here! I was so excited when my April box had come in. I had seen spoilers in the Facebook Group, so I just wanted them to come in quick. First up is Fresh Pick, a lavender jelly base with tiny purple glitters and larger holographic purple glitters. This is such a springy color. It's bright and has tons of sparkle. It applies just like a jelly polish is expected to. 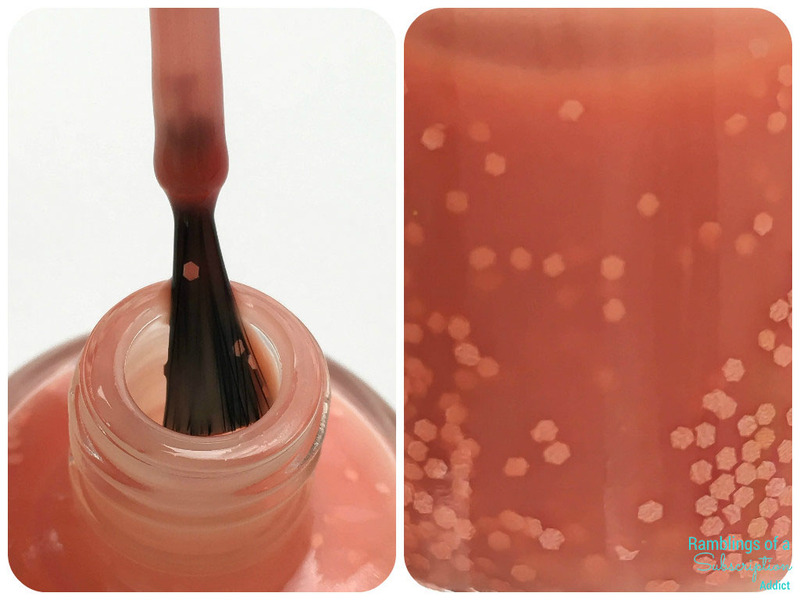 It only took two coats to be opaque, but you might need more if you apply thinner or have whiter nails. Up close you can see how wonderful this polish layers. 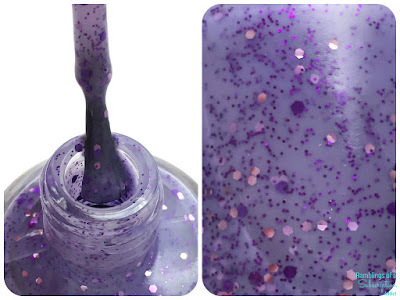 The squishy, especially where the glitters on the bottom are visible, looks so cool and funky. Fresh Pick, two coats with one coat of glossy top coat. 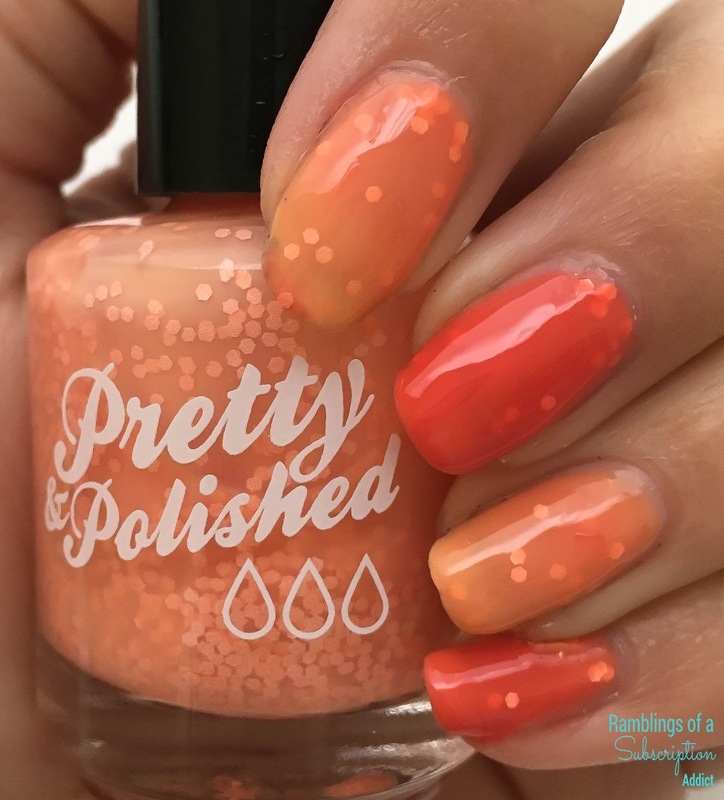 Peachy Keen is a thermal color changing polish with thermal glitter. This thermal is a peach (warm) to coral (cold), and I have photos of both below! Who doesn't love thermals, and this one is so great for spring! 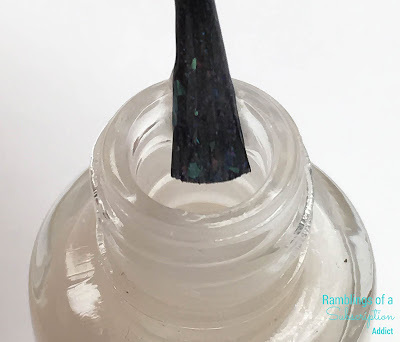 It's a much thinner polish, so you might want a white base for your mani. I know, I have VNL. It was second (or maybe third) winter in Georgia, so I didn't see just how thin it was until I warmed my fingers up. You can see the transition (mostly) here. Once I warmed my fingers up, they didn't want to let go of the warmth. It works better now that the weather is more like it's supposed to be, but it's so cool either way. Here is Peachy Keen in its cold state. It's such a wonderful coral and I love how the glitters look with it darker. More up close of Peachy Keen cold. This was actually a bit harder to accomplish than I thought it would. You can see the warm nails are already starting to look cold, thank the 40 degree weather in Georgia. 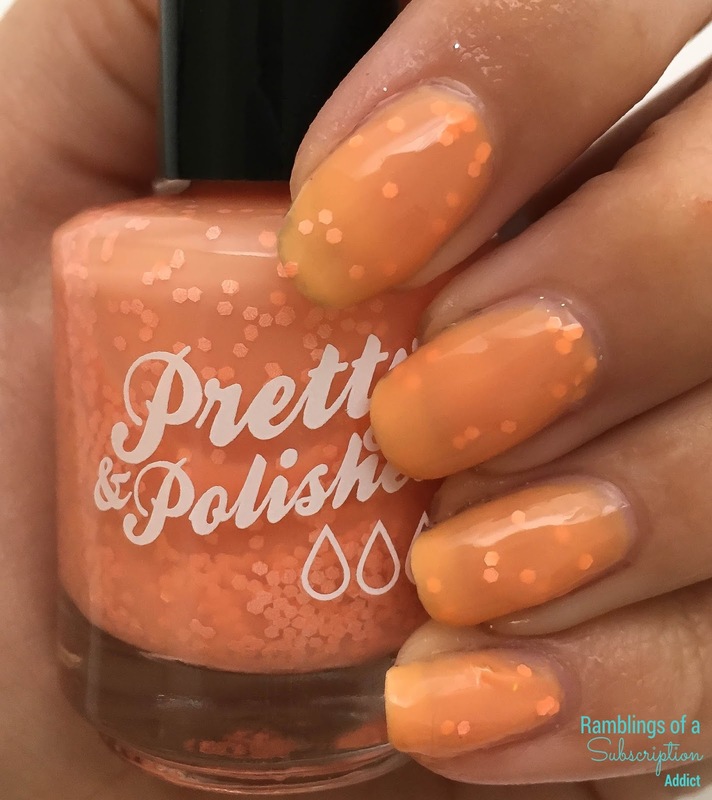 I love how both colors look, though, so either look is great for spring! Just a small macro brush shot of Hopeful Opal. I didn't share a swatch here, so make sure to follow me on Instagram to see what I do with this! Extras included a Mani Melt in Lavender Vanilla (seriously one of the most relaxing scents ever! ), nail decals, and a nail file. They always seem to know when my files are starting to get worn out, because a new one shows up! The flowers are so pretty and delicate, and I am going to try them out on a more simple polish. 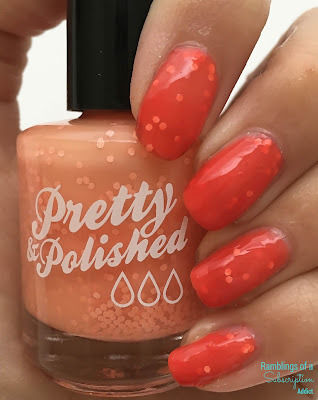 I definitely loved the April box from Pretty and Polished, it had great colors and the formulas are always amazing. The May box is now available through the end of the month (or when it sells out) and I already know one sneak peek for it (it's so worth it)!